Gains were realized in stride length, gait speed and balance following treadmill exercise – after as little as only one session, and enduring for a number of weeks afterwards. Motor function and coordination were improved in people who pedaled at a faster rate on a stationary bike – again, with results lasting for weeks after the study concluded. Noticeable improvements in the normalcy of movement were noticed in individuals with Parkinson’s who engaged in a routine exercise program when compared with those who did not. It’s important to mention that the results achieved were dependent upon consistent, ongoing exercise. 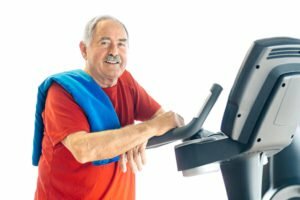 The clinical tests reported that any protective benefits accomplished were discontinued when the amount and intensity of exercise was reduced or was implemented for only a brief period of time. The necessary criteria for sustainable results appear to be just like those essential to help those who’ve suffered a traumatic brain injury or stroke: intensity, specificity, difficulty and complexity. Additional research is underway to hone in even more on the advantages of exercise in individuals with Parkinson’s disease, as well as the precise reasoning behind it. In the meantime, if your family member has been identified as having Parkinson’s disease, it’s useful to talk to his or her primary care physician for a recommended exercise routine. For help with safe, dependable transportation and accompaniment to a doctor’s appointment or workout program, or encouragement and motivation to take part in a continuing exercise regimen at home, contact the at home caregivers in Santa Rosa and the surrounding areas from Hired Hands Homecare. You can reach our Santa Rosa office at 707-575-4700. Our professional in-home care services are available to boost quality of life for anyone with Parkinson’s disease, or another condition of aging. See our full service area here.